Again this season! To get the latest calendar of events download the .ics file and import into your calendar program. The Southern Potter Snowmobile Club celebrated it's 45th anniversary in December 2018. The club was organized in December 1973 by a group of people who enjoyed the winter months and snowmobiling. The club started that first year with 183 members and still today has held a steady membership around 160 members. We have a goal to see around 250 members by the end of the 2019 season. Over the years the club has maintained, improved, and groomed over 80 miles of trails for your riding pleasure. In 2007 the club replaced the bridge behind the Wharton Store/Tavern with a new 120 ft steel I-beam bridge to replace the failing 30 year old steel bridge on the East Fork Railroad grade to keep the trail to Conrad open. In 2012 with the help of a grant from the Pa Snowmobile Association the club upgraded the bridges at Long and Jordan Hollows with new decking and widening of the bridges so we could use our larger IMP groomer and drag for better grooming operations in that area. Lots of trails have been brushed and drainage pipes installed to better improve your riding pleasure. Trail maintenance is an ongoing job and as help that is doing the work is getting older. Younger and more help is always needed. The club is always working with DCNR to improve trails and conditions such as the bridge we built on state land along route 607 at the bottom of Gas Well Rd. to improve state and local trails. Lots of work is being planned for the future years. Work details are planned the last two Saturdays of the months of June, July, and August. Interested in becoming a member of the club? You can join by using the 2019 Membership page or contact the Southern Potter Snowmobile Club by using the Contact Us page on this website. Membership cost is $15 for families, $10 for individuals, $5 for social membership. Business membership is $25 with a link to your website. If you don't have your own website our designer charges $5 per page to work with you and create you an advertising page(s) and an additional $5 to host the page per year. Our Lottery Calendar continues to be a good fundraiser for the club. They are a 6 month calendar with 2 numbers based on the Pa Daily Number (Pick Three Number) evening drawing. They run from January to June of each year, all for $20. Contact Janet before they run out or pick one up around Austin. Winning number is determined by the first 7:00 PM Daily Number drawn. Please feel free to come and enjoy one of our many events that we have for our members. Meetings are held on the third Saturdays of each month September through May. All members are encouraged to attend. Not a member? Come and join us anyhow. The public is welcome and we always welcome anyone interested in becoming a member. Please check our events calendar for dates and times for events of the Southern Potter Snowmobile Club. Your support of the Southern Potter Snowmobile Club is always a vital link to the club's continued success. Whether it's a membership, donation, supporting one of our events, or a much needed weekend of your time, it's always greatly appreciated. The Officers of the club thank you and are looking forward to meeting you. Only for registered users. Please login! Want to recieve the latest news as it's posted? What: Children's snowmobile rides and picnic. When: Saturday March 9, 2019 / 10:00 AM until ? 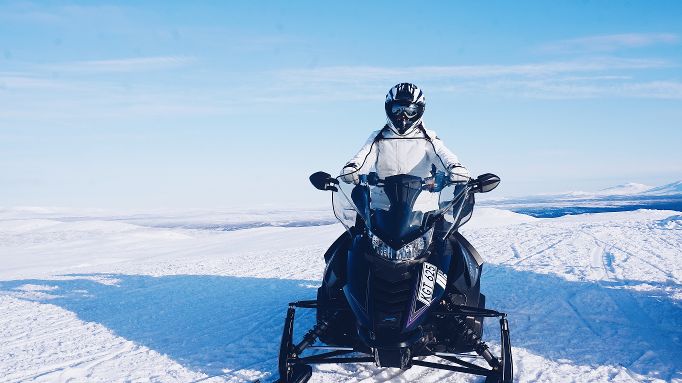 On Saturday March 9, 2019 the Southern Potter Snowmobile Club is offering snowmobile rides for the children (no age limits). Rides start at 10:00 AM and last until ? There will be a picnic included. It will be at the Austin Dam and is open to the public. All are welcome so get out and enjoy the wonderful snow we've had this season. As of February 7th, 2019 the Bush Dam Ride and picnic scheduled for February 16th at 11:00 AM has been canceled. The meeting scheduled for 9:00 AM the same day has also been canceled. This is due in part to the fact that a large number of club members will be on a snowmobile trip to Canada. Also contributing to this decision is the lack of snow base currently on the trails and the lack of snow in the forecast for this time period. The scheduled meeting for March 16th will be our next meeting. Design & Hosting by JL Harstad & Co.